Become a new patient at Bara Dental. 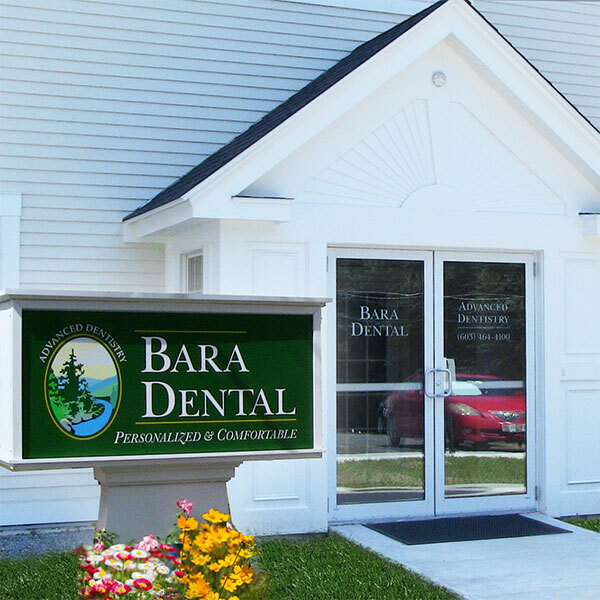 Welcome to Bara Dental! We are thrilled that you have chosen to join our family of patients for your dental care and we all look forward to meeting you! Your initial visit with us will include a comfortable, personalized, very thorough exam along with information and choices about how we can help you achieve your oral health goals. Please plan to spend 90 to 120 minutes with us. Hygiene treatment is uniquely customized for patients in our office. Our goal is to maintain and restore your teeth and gums in the most healthy and comfortable manner possible! Your exam will include a specific hygiene plan based on the current condition of your teeth and gums. Although we cannot guarantee a cleaning at your initial visit, we will always do our absolute best to accommodate you. We appreciate your busy schedule and are committed to reserving our facility and time just for you! Appointments are confirmations in our practice, and we will honor your time as much as possible. Our office will be open Monday through Friday, 8:00 am to 5:00 pm. We do ask for a minimum of 24 hours notice if you are unable to attend your reserved appointment time. If you have indicated to us that you have records in another office, please print out this release form and mail it to our office so that we can review your records prior to your visit. As a courtesy to you, we will be happy to submit your claims for service to your dental insurance company. We submit to all dental insurance plans. Any treatment that is needed will be submitted to your insurance as a pre-treatment estimate so that you will know ahead of time what your financial obligation will be. Once again, thank you for selecting our office. We are a referral based practice, and so many of our patients have found us by being invited by friends or family members. Please do not hesitate to contact us if you have any questions or concerns. 2019 And Beyond - Good Dental Health! Make 2019 the year you and your family get on the path to good dental health. Every one of our patients are unique and we design an easy plan for each. Wanting the best for you and your family is always our goal at Bara Dental. in a Personalized & Comfortable Atmosphere.